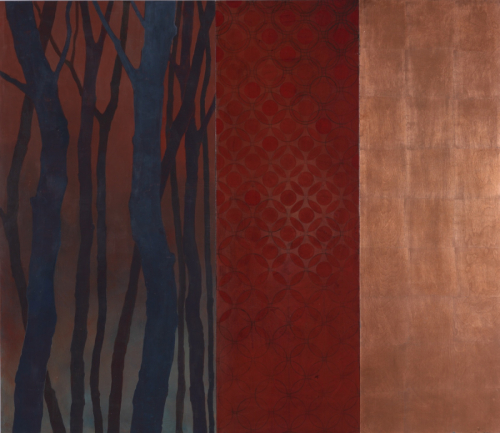 Three panels, one copper leaf. A memory of walking in the woods in the winter on a full moon night. Trees in the woods as spring works it's magic. 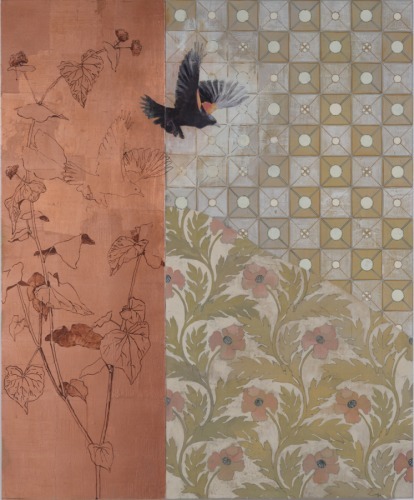 Copper leaf on the left panel that has been patinated using vinegar. Snowy Egret in it's habitat. 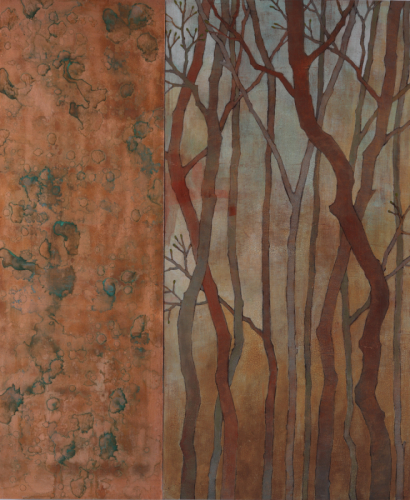 One copper leaf panel that has been distressed and overpainted, a panel of just pattern. 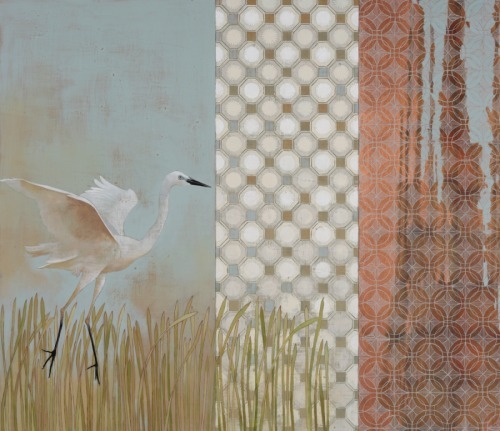 The main panel shows the Egret just returning to the marsh. Pattern and Aluminum leaf replace the sky. 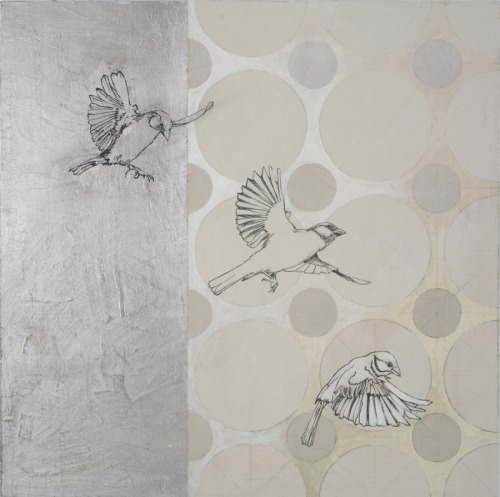 Simple line painted birds move across the surface. 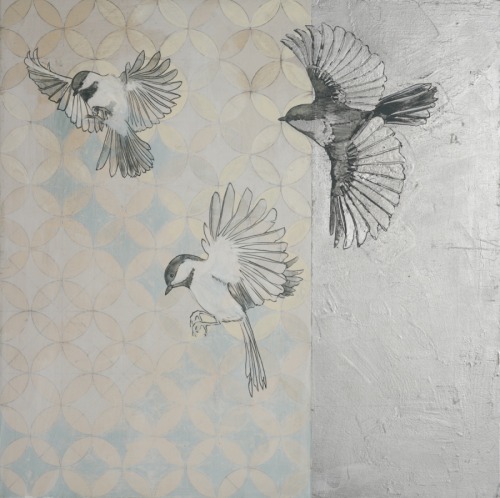 A single panel of chickadees in movement. Painted partially on Aluminum leaf substrate.